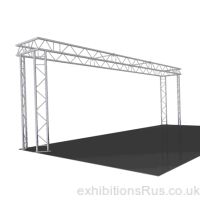 Lighting truss systems in 50mm diameter tube size, suitable for both indoor and outdoor events and shows. 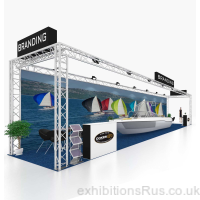 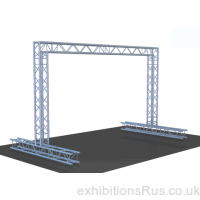 A versatile and adaptable lighting truss display system to give your trade show or event that professional finishing touch. 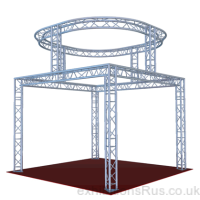 Built from 50mm aluminium tube it will be a visually impressive and commanding aluminium structure. 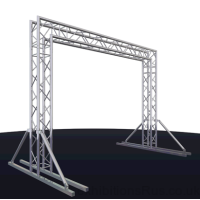 This range can take immense weights, the maximum sensible span between legs being 12 metres. 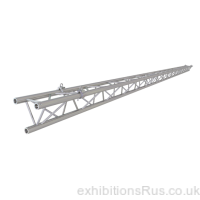 Standard heights are 2.5m, 3.0m, 3.5m and 4 meters, with section lengths from 3 meters down to to 250mm. 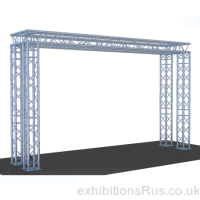 This gantry or lighting truss system can be custom built to your required area dimensions and design that you can imagine. 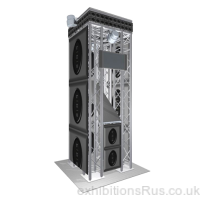 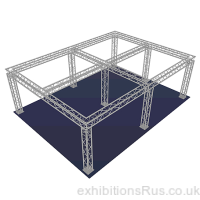 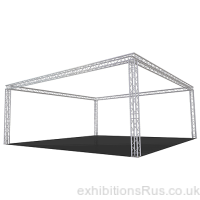 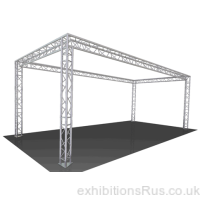 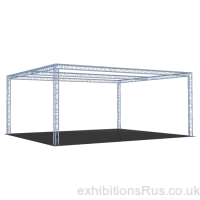 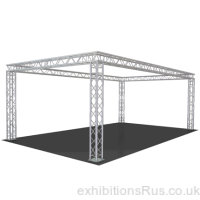 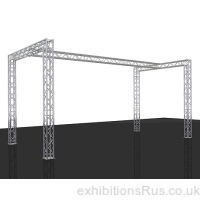 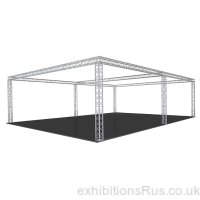 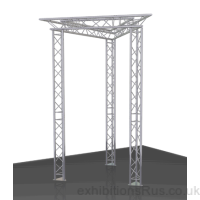 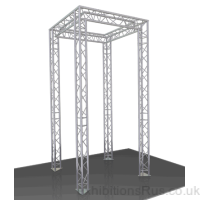 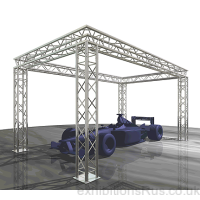 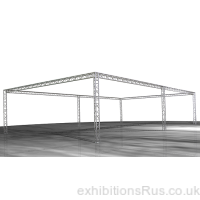 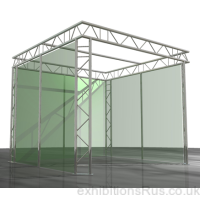 This truss size is for applications that require some series load bearing capability and is suited to the professional in the exhibition, lighting and music business. 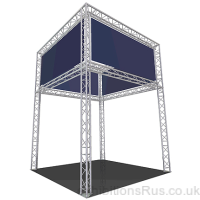 Also suitable for external usage and two tier configurations, but we would advise the use of lifts and winches for larger builds. 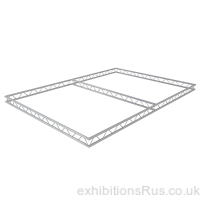 Aluminium components make for quick assembly, no spanners or screwdrivers are required, just tap the dowel or pin through the two connecting sections and slide in a split pin through to secure it, simplicity its self. 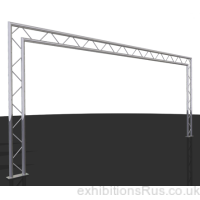 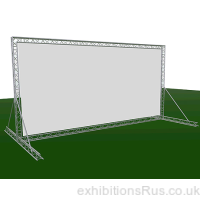 Suitable for hanging plasma screens, projectors, products and of course lighting arrays and large banners or light boxes.